A relative newcomer to the forex back office sector is R3 Analytics. The firm provides risk management solutions for brokers to allow them to automate monitoring and hedging of customers. Included in their offering are pre-defined strategies, as well as the ability to develop customized models to monitor individual client trading activity to decide which customer flow should be warehoused internally and what risk should be hedged externally. The product also allows for risk managers to customize their own automated strategies. 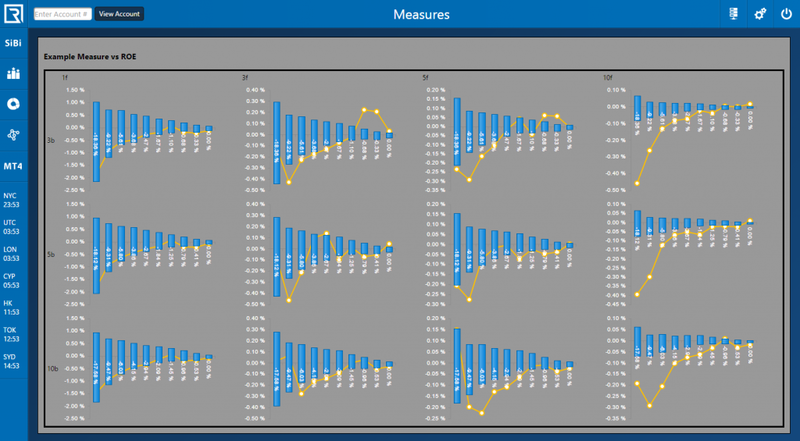 In January it was reported that R3 Analytics added business intelligence features within a recent upgrade. Widening its potential users, R3 Analytics is launching a freemium version of their risk management analysis called FX Data Lab. The free product allows brokers to connect their MetaTrader 4 customers to the R3 Analytics platform. Once connected, brokers can use any of the preexisting risk strategies or develop their own to analyze their customer flows. Unlike the paid version, the free product doesn’t provide automated hedging, but runs reports which brokers can use to manually enter adjustments of which customers are selected for A and B book. For R3 Analytics, the business model behind the free FX Data Lab is two-fold. Speaking to Liam O’Brien, Director or R3 Analytics, he explained to Forex Magnates that by offering risk management reports for free, the firm aims to introduce their services to brokers who may be pleased with the tools and become full paying customers of the automated hedging offering. In addition, O’Brien explained that his firm conducts data mining on the overall industry which it uses for their internal proprietary trading business. In this regard, R3 Analytics offers brokers a revenue sharing model where they provide a portion of profits based on broker data. FX Data Lab is operated by brokers making available an MT4 Manager access to R3 Analytics. According to O’Brien, they connect to the broker, but the firm is able to restrict the view of customer details, with data received by R3 Analytics being anonymized. The release of FX Data Lab comes as the industry has been reanalyzing the pros and cons of market maker versus agency model driven brokerages. While market makers carry greater day to day risk due to their warehousing of client risk internally, agency model brokers suffered greater from the Swiss franc volatility in January due to losses generated from client negative balances. As a result, utilizing hybrid A and B book hedging models has garnered greater interest within the industry, with FXCM announcing it would be using such a system for a portion of its clients. This product looks very nice and is easy on the eyes. After viewing the R3 website it appears there is no information on the management or backgrounds (Red Flag.) It says that their team are mathematicians and quants. With no verifiable or industry known track records of making significant money trading, how could anyone trust their software/technology or ability to manage risk? This sounds like trying to fly a plane with someone who designed a flight simulator and is great at playing with it but is not a pilot. Would you want to get on that flight? Hi Ronald, thank you for your comments. Our website serves as a streamlined overview of our services and all the questions you asked are discussed in detail during our deep dive presentations of our platform for prospective clients.